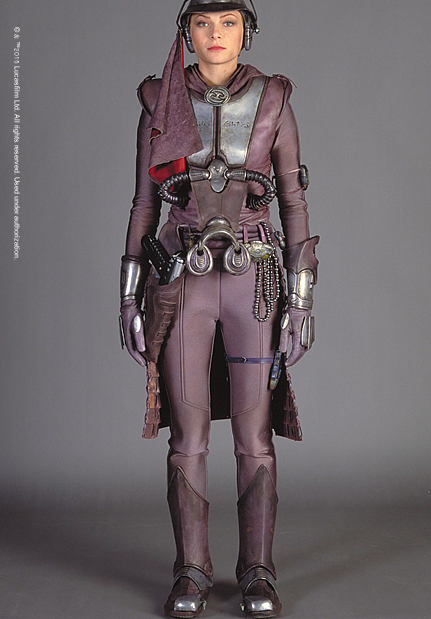 Leeanna Walsman appears briefly as Zam Wesell, the shapeshifting assassin with a dodgy accent who is targeting Padmé and interrupting Anakin’s important brooding time. Australians who came of age around the early 2000s will remember her as Carly Bishop, the heroine’s nemesis in Looking for Alibrandi. She was also in Heartbreak High and, more recently, Wentworth, and is appearing in 2016’s Cleverman, which means No Award will see more of her. She also appeared in Farscape, which I suspect we’ll be able to say of a lot of people here. She did not appear in Farscape, but she was in Heartbreak High. 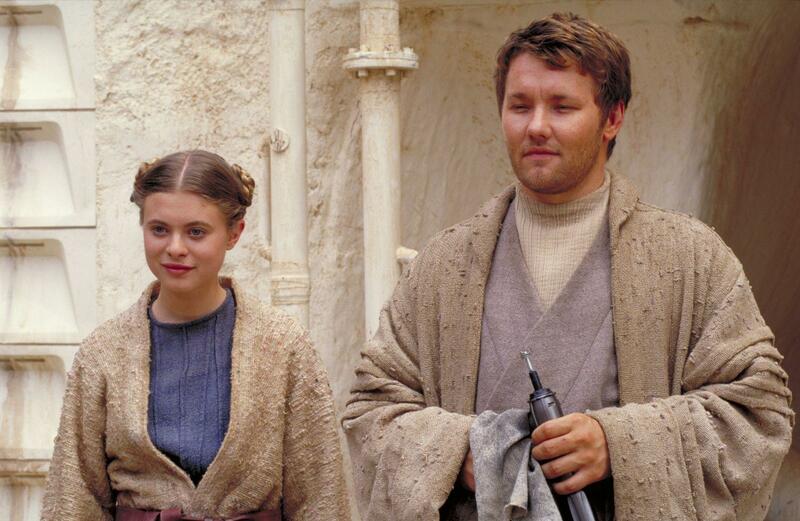 Joel Edgerton, playing the young Owen Lars, was also at the beginning of a successful US career when he did Star Wars. These days, he’s one of the many white people playing lead roles in Exodus: Gods and Kings. Somehow, he escaped both Farscape and Heartbreak High, but he did appear in Water Rats and classic Australian kids drama Spellbinder. The young Beru was played by Bonnie Piesse, who has had a relatively short career compared with everyone else we’ve seen so far, but she was in Stingers, which is pretty great. Jocasta Nu, Worst Librarian In The Entire Galaxy, was played by veteran Australian actress Alethea McGrath. She was in Neighbours, A Country Practice and Prisoner: Cell Block H. This probably makes her an official national treasure, but I still don’t regret the long information science tutorials we spent joking about the Jedi’s failures at library management and ongoing professional practice. Oh yes, we had some wild times at library school. Okay, who else had NO IDEA that Susie Porter was in Attack of the Clones? I googled her character, expecting to find her looking amazing and regal (and unrecognisable) in elaborate robes. Uh, nope. I’m sorry, Susie, I know you’ve been in everything (except Farscape and Heartbreak High), and I love you to pieces, but, um, I didn’t recognise you without your dignity freckles? This. This is the greatest crime of the prequels. George Lucas will pay. I dunno, I was madder about the Naberrie women being cut when I thought Claudia Black was among them. Apparently she’s interchangeable for Claudia Karvan in my mind. In fairness, they both have dark hair and pale skin and are named Claudia, I really don’t know how I can be expected to tell them apart. 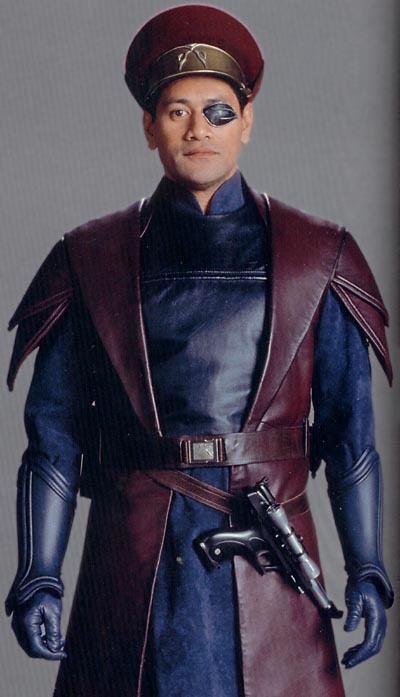 I enjoy Jimmy Smits as much as the next person with eyes, and I quite liked him as Bail Organa, but I was constantly resenting him in Revenge of the Sith for getting important plot stuff that should by rights have been done by Padmé, and I’m also maybe more impressed that his wife was played by Rebecca Jackson Mendoza, the less famous half of ’90s girl duo Jackson Mendoza. The important thing is that Princess Leia’s adoptive mother doesn’t get enough attention, either in fandom or the extra-canonical stuff, and that makes me quite sad. 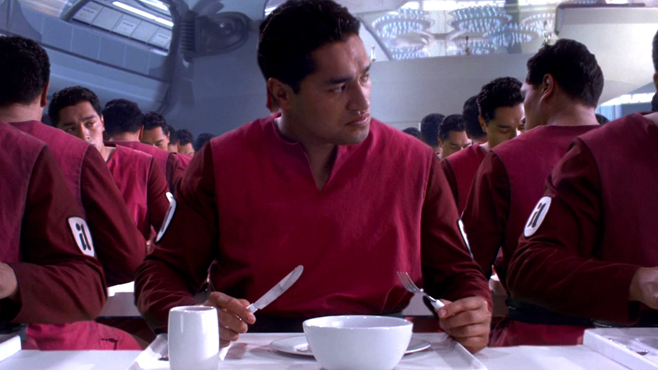 Jay Laga’aia has a small role in the prequels as Captain Typho, Padmè’s security chief. He has a very nice hat, and some excellent gauntlets. And also an eye patch. 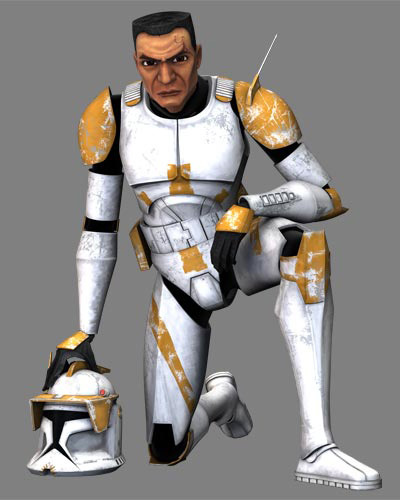 Unlike Temuera Morrison, he’s lucky enough to make it through The Clone Wars without being whitewashed. Rena Owen voiced one of the Kaminoan cloners in Attack of the Clones, and appeared briefly as a human senator in Revenge of the Sith. How much do I appreciate Lucasfilm’s dedication to providing detailed portraits of insignificant side characters? Probably not as much as the cosplay community, but quite a lot! Bruce Spence turns up in Revenge of the Sith. Who is Bruce Spence? No idea, but he’s been in everything. Including Farscape. 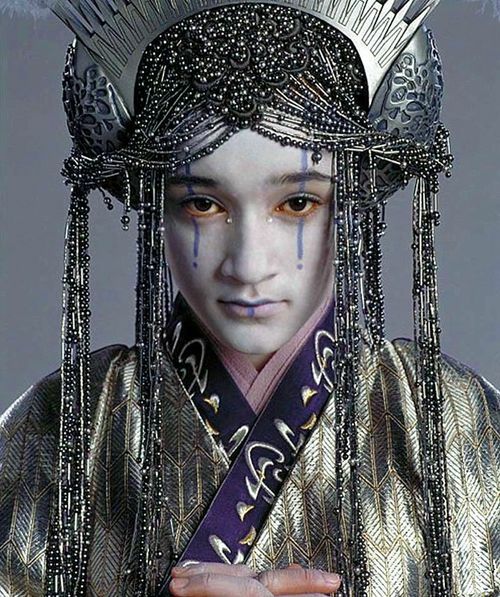 Keisha Castle-Hughes appears very briefly at the end of Revenge of the Sith, playing the Queen of Naboo. Her costume is even more overtly “inspired” by Asia than Padmé’s. A few years after Star Wars, she appeared with Oscar Isaac, fandom’s current cinnamon roll, playing Mary and Joseph in The Nativity. No, neither are Jewish or Middle Eastern, why do you ask? Castle-Hughes was in the latest season of Game of Thrones, and really ought to be in more stuff because she’s great. I’ve put off talking about Temuera Morrison as Jango Fett and the clone army, because there’s actually a lot to discuss here. But first, a quick round-up of the Fett actors. And Temuera Morrison plays Jango Fett, and the entire clone army. We don’t really get to see much variation between the clones, except for Obi-Wan bantering with Commander Cody just before Order 66 is implemented. 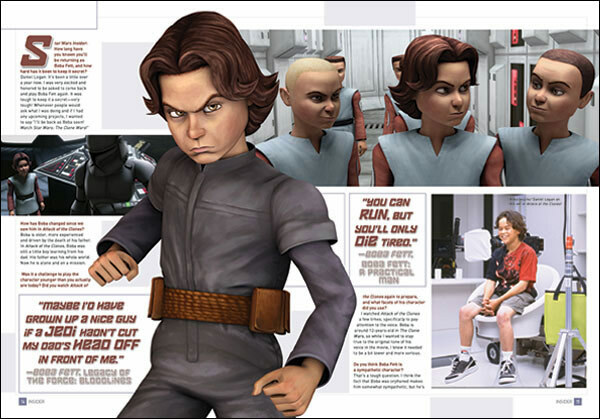 The Clone Wars does a lot to humanise and distinguish the clones. They give themselves nicknames, they decorate their helmets and armour. Even the strictest of them have unique personalities. They know that they’re clones, and that they have a lot of traits in common, but what they do with those traits can vary wildly. The facial resemblance is limited at best, he looks a lot older … but what’s more notable is that his skin is a hell of a lot lighter. 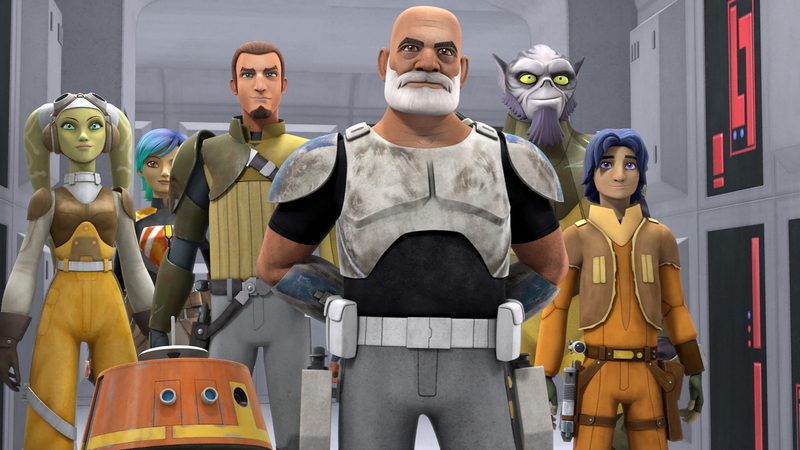 Then Rebels reintroduces Rex, Anakin’s clone commander in The Clone Wars, now Cantankerous Space Grandpa. 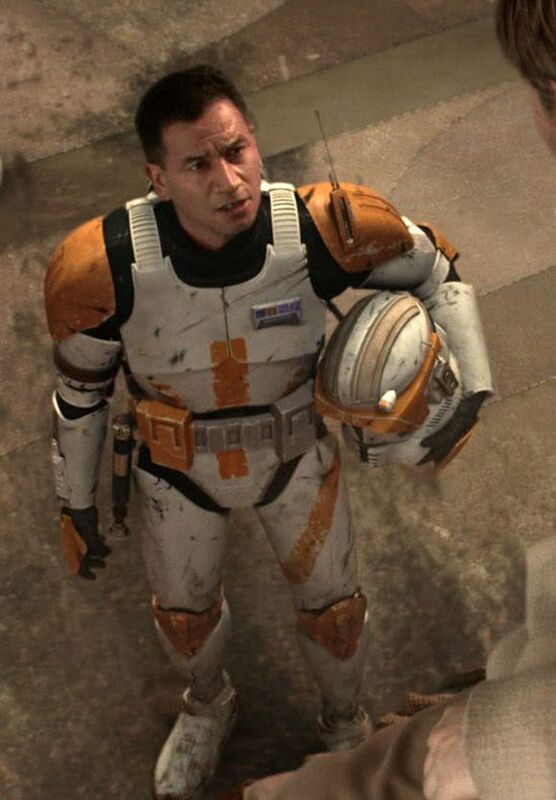 I love Rex to tiny little pieces, but he looks even less like Temuera Morrison than his younger self. And he’s definitely a white guy with a tan. He’s not the only one being whitewashed. Bail Organa is a couple of shades paler than Jimmy Smits, for example, and I have no doubt that, as the new characters start appearing in spin-off media, Poe Dameron will be lightened up, too. But that just means we should talk about it even more. Loudly. Because it’s wonderful and magical that The Force Awakens gives us a woman, and two men of colour as heroes — hey, maybe VIII can, you know, add a woman of colour to that group — but it’s a damn shame that the spin-offs are undermining that.